Laura's Miscellaneous Musings: Happy Birthday, June Lockhart! Actress June Lockhart turns 90 years old today. 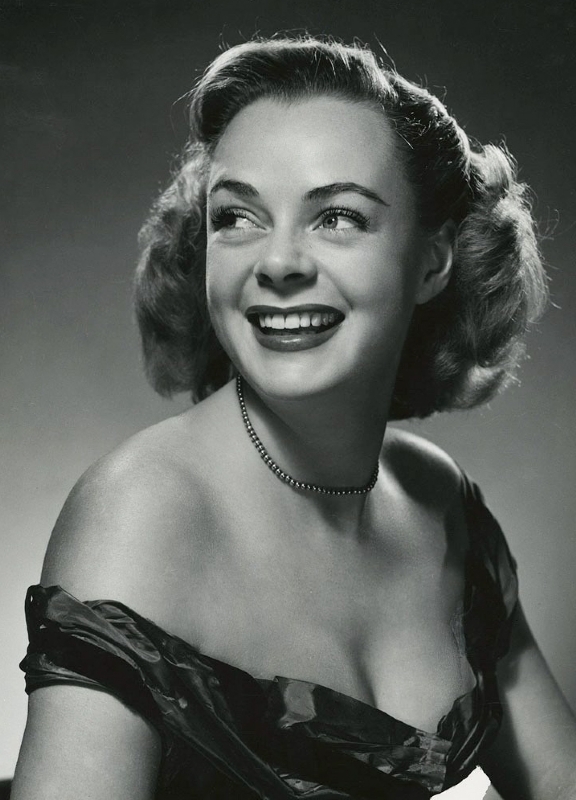 June was born to actors Gene and Kathleen Lockhart in New York City on June 25, 1925. June's notable roles in classic films include playing Rosie, the sister of SERGEANT YORK (1941), and glamorous Lucille Ballard in MEET ME IN ST. LOUIS (1944). 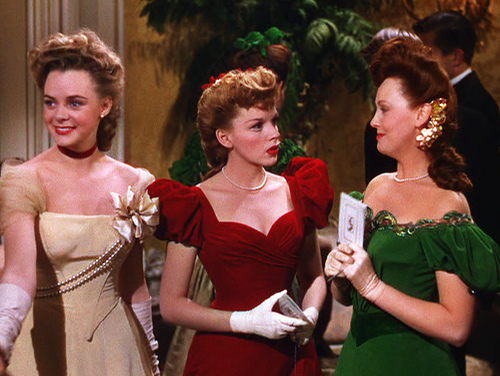 She's seen here in MEET ME IN ST. LOUIS with Lucille Bremer and Judy Garland. 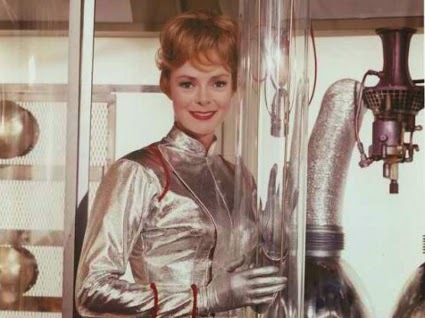 June began working in television as early as 1949, eventually starring in the series LASSIE and LOST IN SPACE. (She also appeared in the MGM movie SON OF LASSIE in 1945!) Later she had a recurring role as Felicia's grandmother on GENERAL HOSPITAL. June continues to act occasionally today, and she's also known as an enthusiastic supporter of NASA, which has honored her with an Exceptional Public Achievement Medal. 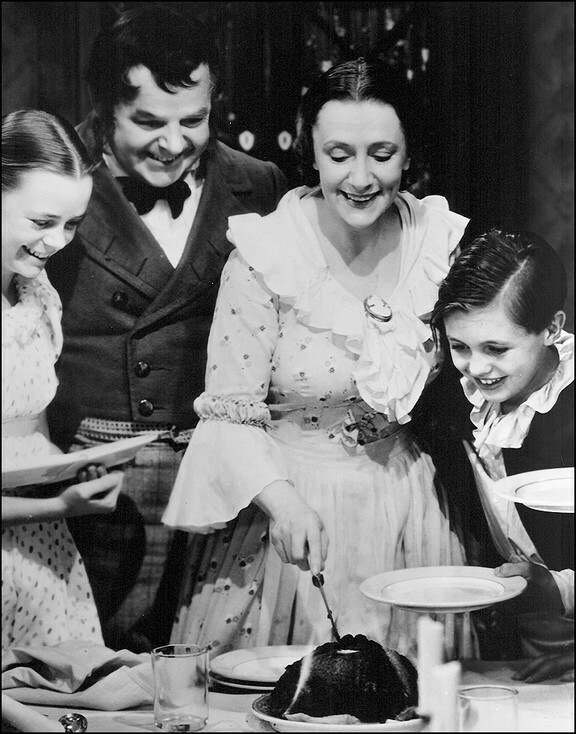 Acting continues to be a tradition in the Lockhart family; June's daughter Anne is a busy working actress, including voice work in animated films. Anne's late husband, assistant director Adam Taylor, was the grandson of character actor Dub Taylor and the son of actors Buck Taylor and Judy Nugent. 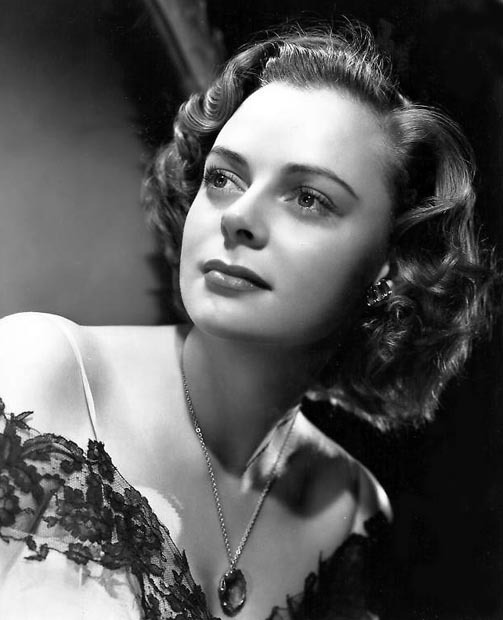 June Lockhart movies reviewed at Laura's Miscellaneous Musings: ADAM HAD FOUR SONS (1941), KEEP YOUR POWDER DRY (1945) (also here), T-MEN (1947), and BURY ME DEAD (1947). Update: The public is invited to celebrate June's birthday tonight at a free concert in Beverly Hills. Lovely tribute. A fine actress.